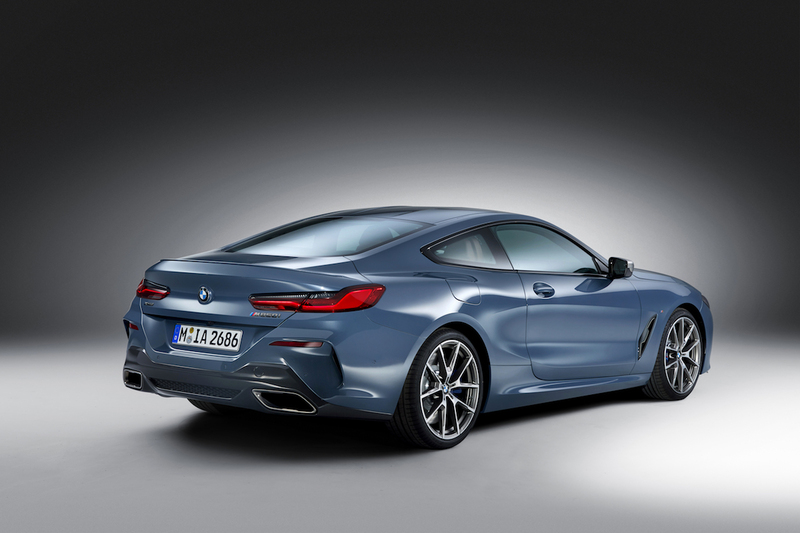 ​​​​Topline: After showing off its concept version at countless auto shows last year, BMW finally pulled the wraps off of the production 8 Series Coupe in a press release Friday. 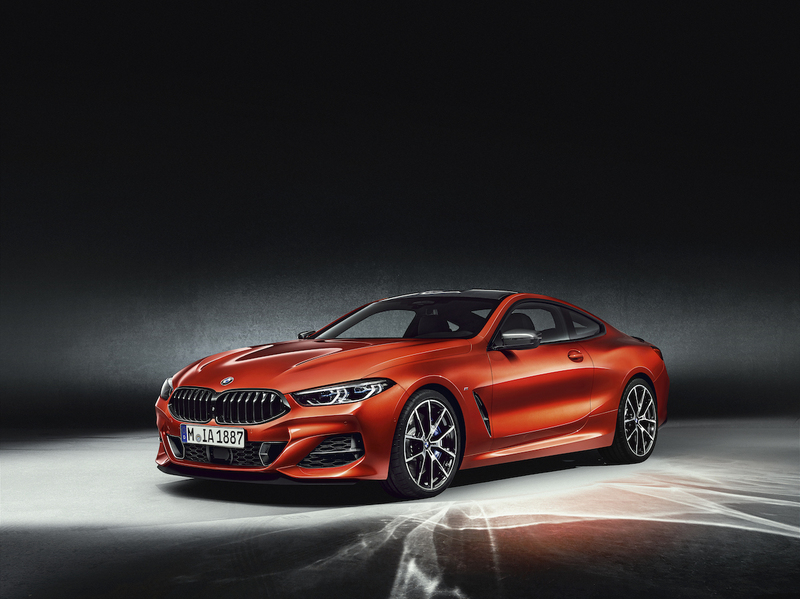 The 2019 8 Series will sit at the top of BMW's lineup, promising the best luxury and performance features the brand can offer. 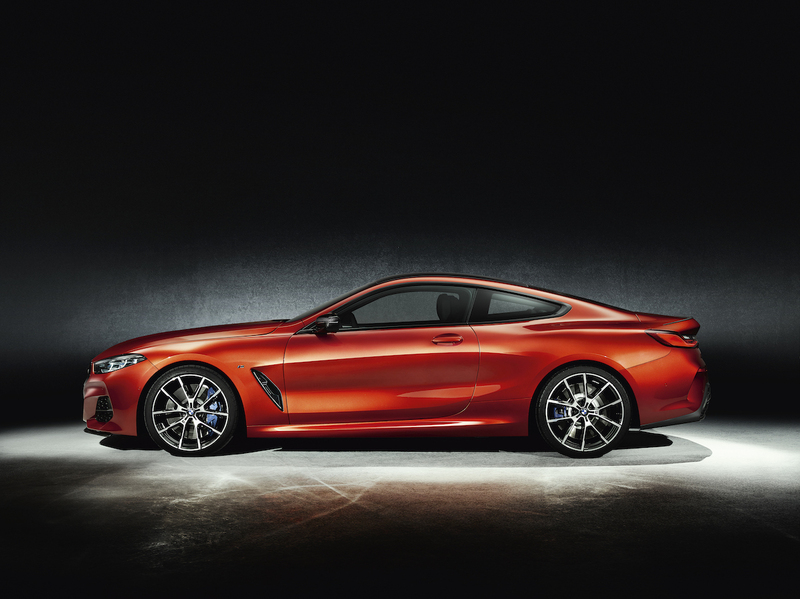 The first model to be unveiled in the 8 Series' lineup is the M850i xDrive, which will go on sale fall of 2018. 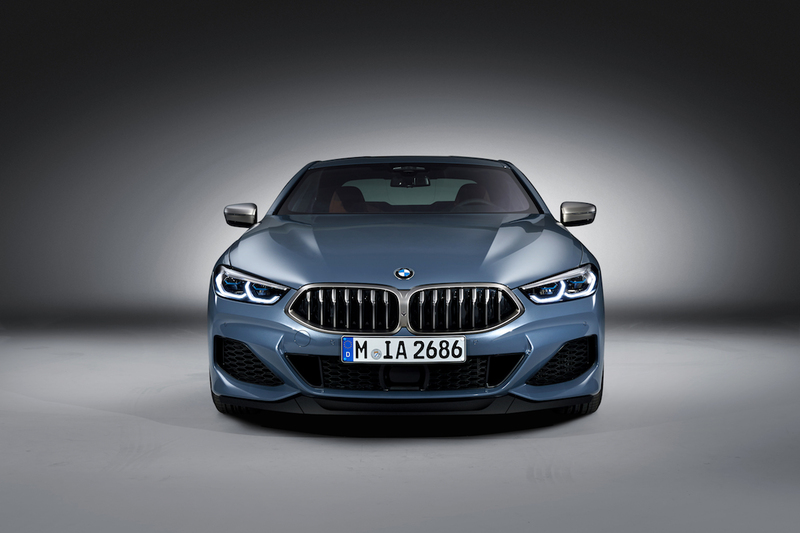 What's New: The M850i xDrive's design is fairly close to that of the concept shown this year, and the first model to show off BMW's new design language that the release describes as "focusing on modernity and emotional engagement." The raised areas on the car's roof are a tribute to the "double-bubble" cockpit design of early race cars. 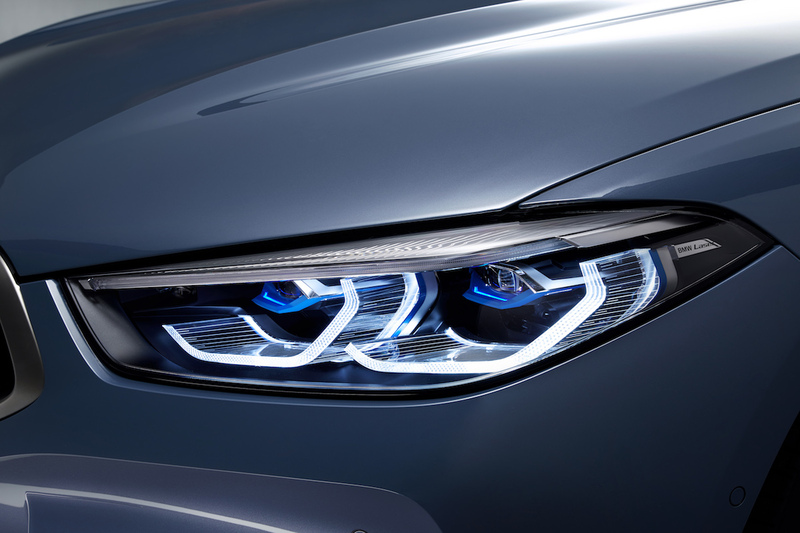 Every 8 Series car will come standard with full-LED headlights and tail lights with LaserLight tech, the lowest-profile lights of any BMW model. 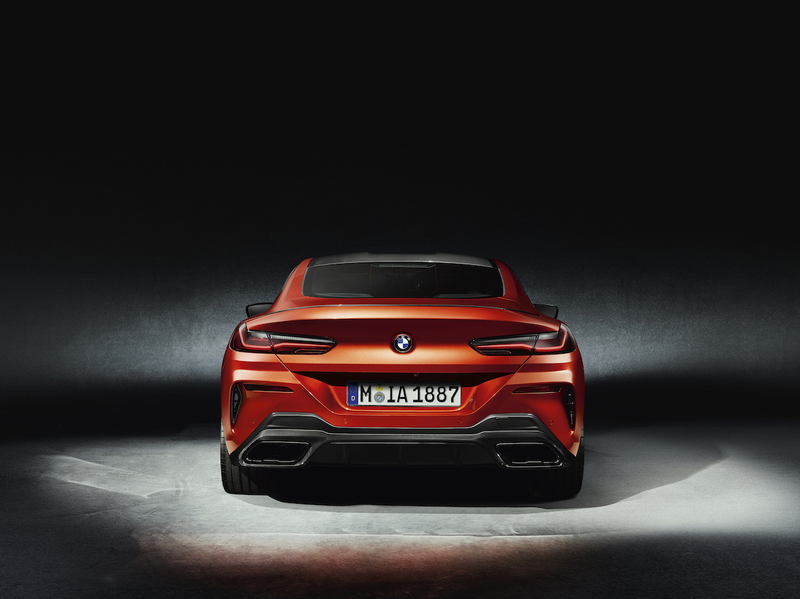 The M850i xDrive is powered by a new twin-turbocharged 4.4-liter V-8, pumping out 523 horsepower and 553 pound-feet of torque, launching the car from 0-60 miles per hour in 3.6 seconds and to a top speed of 155 mph. BMW promises this engine will produce a lovely exhaust note when you turn the Driver Experience Control dial to the "Sport+" setting. It's mated to an eight-speed Steptronic Sport automatic transmission, updated with faster shifts and wider gear ratios. 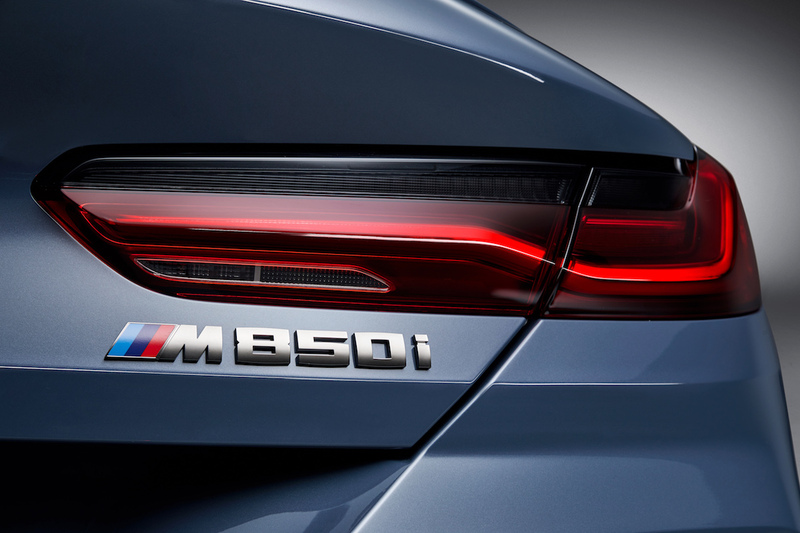 As the name implies, the M850i is equipped with xDrive rear-biased intelligent all-wheel drive, which BMW has vastly updated for this car. Adaptive M Suspension comes standard, complemented by new rear-wheel steering to improve cornering characteristics. 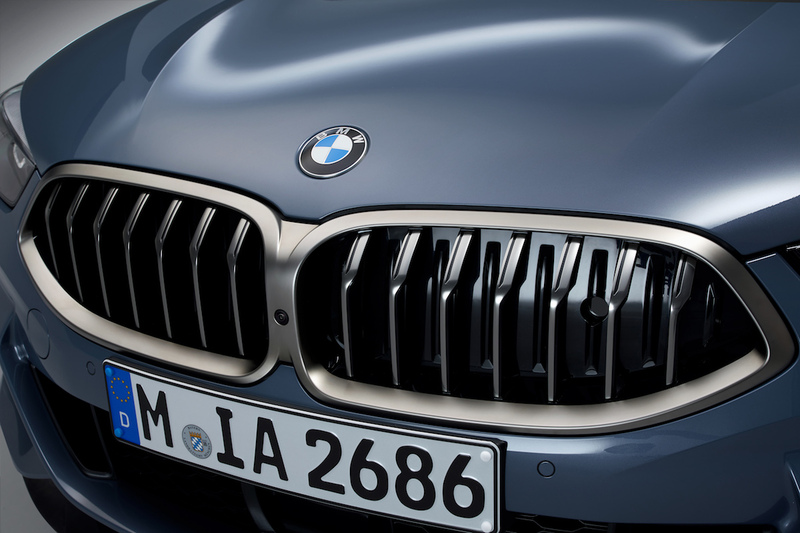 Lastly, the 8 Series' iconic kidney grille features active flap control that can help reduce drag. 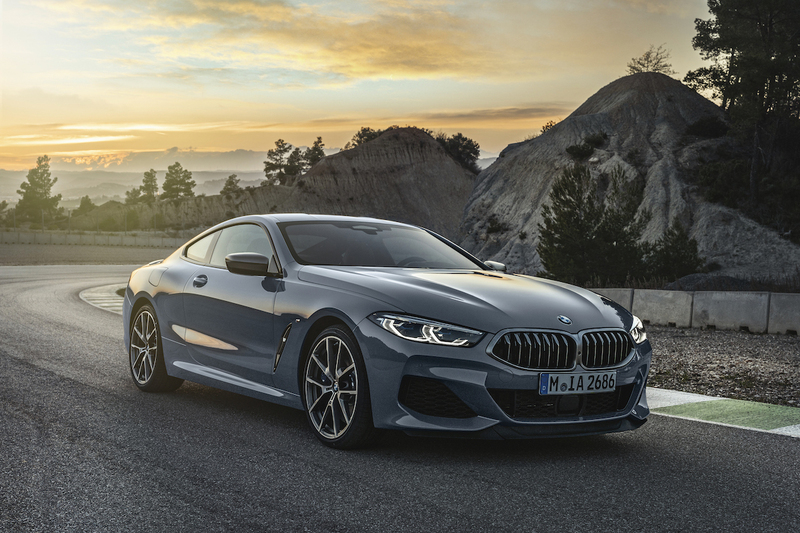 Standard luxury features include a head-up display, parking assistant with reversing assist, and Digital Key, which lets owners lock and unlock their new 8-Series via smartphone and start the car by placing the phone on the wireless charging dock. BMW is also hyping the new Live Cockpit Professional system, the company's high-tech virtual instrument cluster and infotainment system combination that will supposedly work in conjunction with Digital Key for a more personalized experience for each driver. 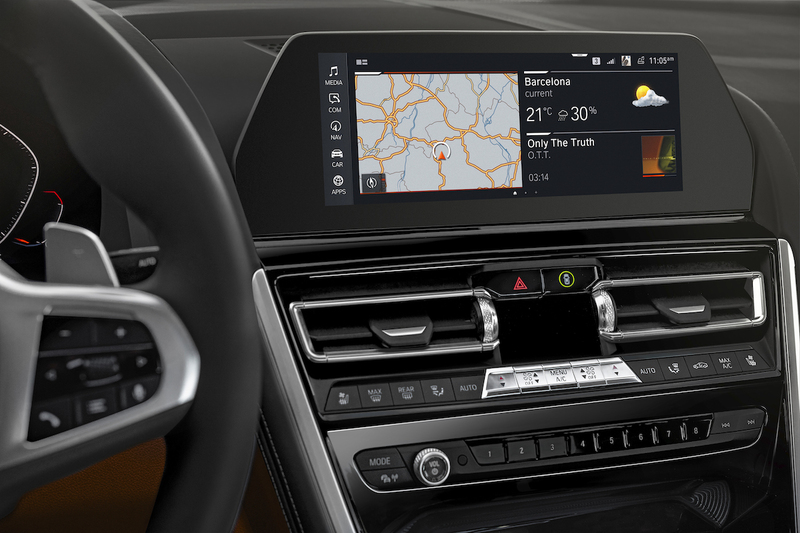 The M850i's interior is optimized for space and comfort. The Merino leather seats can be upgraded with BMW's new climate seats, which take cooled seats to the next level by channeling cold air from anywhere in the cockpit to the built-in fans in the backrests and seat cushions. The regular 11-speaker stereo can also be swapped out for a 16-speaker Harman Kardon surround sound audio system, or an even better Bowers & Wilkins Diamond speaker system. BMW's new model wouldn't be a German luxury car without a bevy of optional packages. The M Sport package adds a leather M steering wheel, M pedals, M floor mats, and an M logo on the illuminated door sills. A new carbon fiber roof can also be added, but comes separately from the Carbon Package, adding everyone's favorite weight-saving material to the rear diffuser, rear spoiler, mirror caps, and air intake bars. 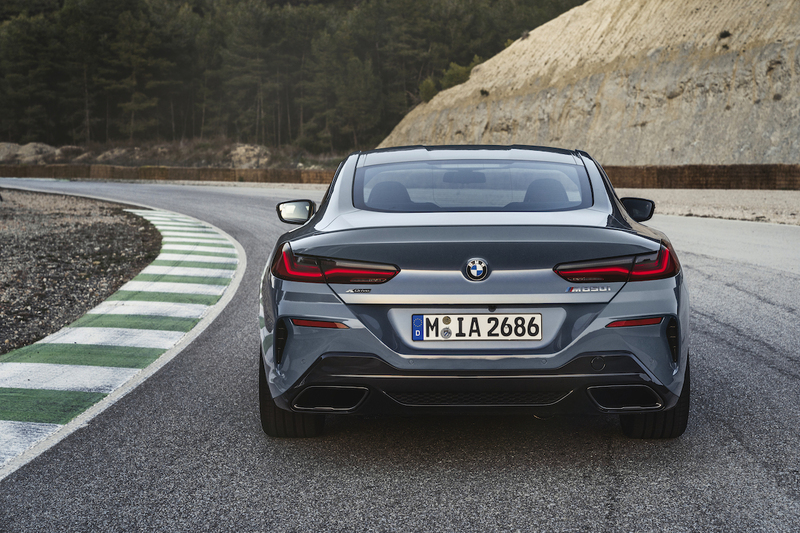 What You Need to Know: BMW only uses the "8" number when referring to its highest-caliber performance models (like the I8 and Z8), so the 8-Series Coupe is sure to offer top performance in its class. 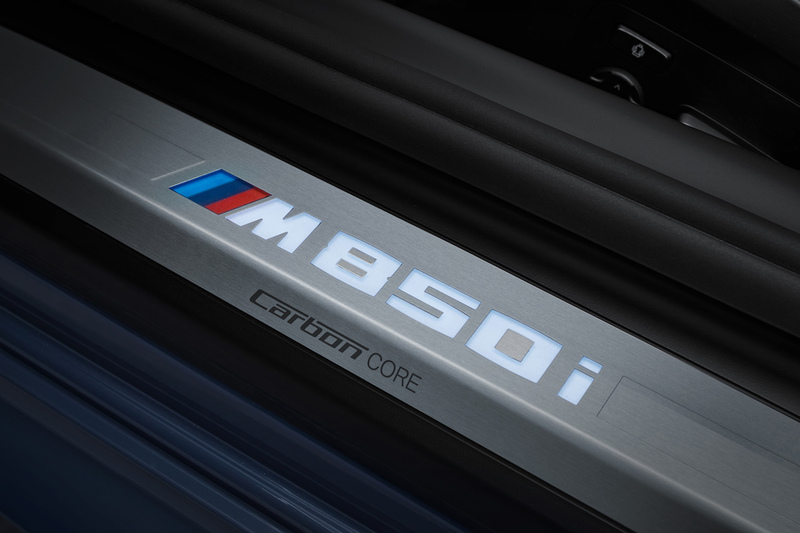 The technology in the M850i xDrive has already been tested on the track in the M8 GTE, which showed potential in the 2018 IMSA WeatherTech SportsCar Championship. 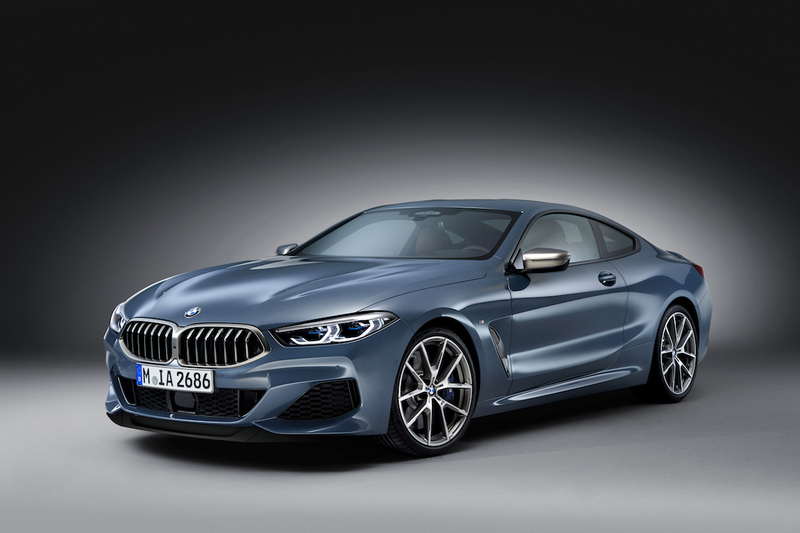 BMW will announced pricing for the 2019 8-Series Coupe closer to launch this fall.